Loved this episode. I loved all the callbacks to Ryuki and that they even got to use the old Ore journal building. Another Ryuga looks really awesome. Might be the best Another Rider design they have made. And of course I loved seeing Shinji and the Editor again. Hopefully they get to do more next episode. I really loved this episode. The emphasis on everyone all having their own different agendas was great, and despite not having the best characters ever, this show has some very sharply written interactions between them. Special props to Sougo walking away from a conversation with Woz because he already put two and two together. I was tempted to say Shinji is horribly underutilized, but thinking about it, the treatment he got here is probably more true to his character than anything else would've been. He was the original everyman Rider, after all. They also balance it out by giving the Ryuki episodes the honor of being where one of Zi-O's big powerups debuts, so it works out. Combine all that with creative use of the Mirror World setup and you get an episode that really plays to the series' strengths. Definitely a major step up from the episodes with Quiz. Pretty enjoyable episode overall, though hard to judge the full thing since they are doing the double episode stories so that will be for next week. Seeing Ryuki again was fun, and it was an interesting idea to go for the Ryuga route for it, fitting for a season with time travel that we get alternate timeline ending character. What? Geiz is a Kyuranger? HE MUST DIE! I saw the same. I think someone was a little when writing out those subs. I'm so super confused by White Woz' motivations. Because in spite of his words, it sure aint to make Geiz a savior. Also, I utterly love the fact that they used Kuuga's director to make the episode feel exactly the same as the series. I've also stopped trying to make any sense of the series as a whole in relation to where we were back in episode 10 or earlier because time keeps changing courtesy of everyone mucking about. 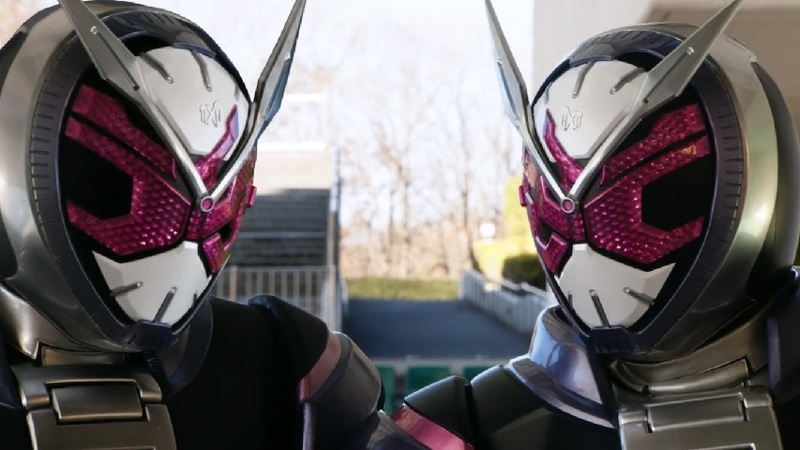 I do however like that the characters for Sougo and Geiz are evolving more past where we started. And it doesn't feel nearly as janky as Decade was, but that's personal perception. 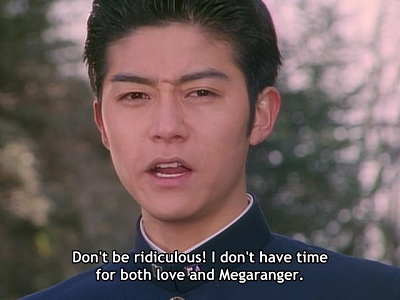 Granted, it's really bad in terms of trying to fit prior Rider series in, but at least it's entertaining. White Woz claim about it being a future where time has stopped as it currently is, worries me. It is pretty damn clear that the revive timeline he is from does not have any positive effect on the actual world itself, having so little respect for his so called savior as well pretty much says it all while black woz has far more respect for Sougo even if he has not become his overlord yet. I do not think white or black will die either per say, I think this will end with the two timelines being fused into one towards the true final villain (( likely the shadow that convinced Sougo to become a king by constantly showing up in his dreams )). So we will gete a "gray" woz that will be a true ally I think. Last edited by DecoyBlackMage; 02-08-2019 at 05:31 PM.. I LOVE the joke on Quiz's powers during this episode. That was really good comedy and makes up for the silly gimmick. As for the episode itself, I wish we could have seen more of Daisuke or Shinji but man if this episode didn't nail the Ryuki atmosphere! This was so nostalgic from a visual and auditory perspective. I always love hearing the classic Mirror world sound and they went back to so many original locations from the Ryuki show, including the Ore Journal Building! What was cool is that the shutdown of the Ore Journal site seems to be meta, coinciding with the actual promotional site getting taken off of the web around a year ago. It's really interesting that they use Ryuga as the Another Rider and they utilize him well. The idea that Episode Final may be the canonical ending to Ryuki according to this is even more intriguing. Great seeing the clips from the film as well. God I just love everything Ryuki so this was an excellent episode for me. Neh, they state in the episode that Ryuga was from a timeline that no longer exists, like most of the earlier heisei rider movies that came out towards the end they are alternate endings, overall though Rider is set in a multiverse so they are still canon in their own timelines, they specifically said tha Ryuga came from one that no longer exists though.